It is now 8:15 PM ET Time on Sunday, April 21, 2019. This competition is limited to the first 175 entrants. Currently there are 138 entrants. Event: This will be a 2-mile swim, consisting of four laps around a quarter-mile underwater cable marked with buoys. There will be two heats swum in the same direction (clockwise or counter-clockwise), which will be determined by the toss of a coin (national championship medal) on Friday afternoon. Eligibility: Open to all swimmers 18 years & over as of August 16, 2014. All swimmers must be registered with USMS (or the equivalent FINA organization for foreign swimmers). Paper entrants must submit a copy of their 2014 registration card with your entry. One-event membership is not available for this race. Rules: 2014 USMS rules will govern this race. Only Category I swimwear is allowed (www.usms.org/rules/part 3.pdf, Rules 303.7.1 & 303.7.2). Wetsuits may not be worn in this race. Swimmers must wear the swim cap provided, have their race numbers on their arms, and follow all announced safety rules without exception. Seeding: Swimmers will be seeded fastest to slowest using 1650-yard times. ‘No Time’ entries will not be accepted. Seeding changes will not be allowed after the heat sheet is posted. Enter accurate times! Heat sheets will be posted at www.betsyowensswim.com by Tuesday, August 12, 2014. An email notification will be sent to all entrants. ENTRY LIMITS: The event is limited to the first 175 registrants. We will maintain a waiting list in case early registrants drop out. 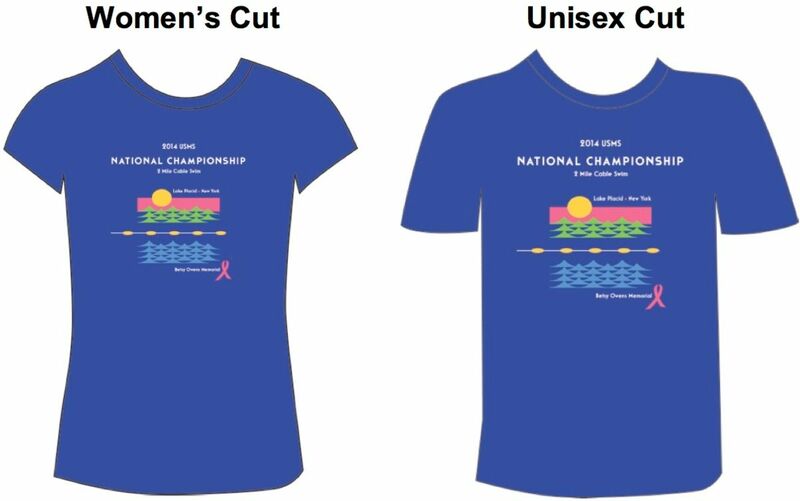 Awards: The top 6 individuals in each gender/age group and the top 3 relays in each category will be awarded USMS Long Distance National Championship medals. USMS Long Distance National Championship patches will be awarded to first individual finisher in each age group: 18-24, 25-29, 30-34…100+ and each member of the winning relays in the relay age groups (18+, 25+, 35+…95+). In addition, the first place USMS swimmers in each age group and first USMS relay teams in each age category will be designated Long Distance All American. Relays are cumulative (adding times from individual 2-mi swim) and entered after the event. For more information, go to www.betsyowensswim.com. Results will be posted at www.usms.org and www.adms.org. Quick links to Lake Placid websites at http://www.betsyowensswim.com. Online Registration closed on 8/6/2014.